This is one of the best ways for headboard storage. 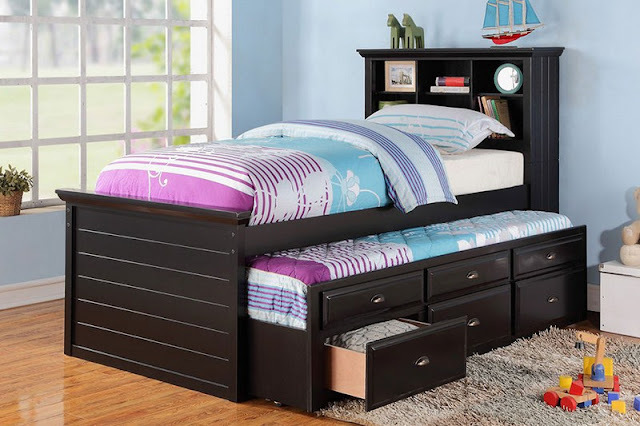 These kinds of bed have a huge storage capacity and you can store all your minimalistic things in it. Make it look very simple and have an empty place just above the head, and sue it store different things like books or vase or whatever you like. This is another way to make your bed look beautiful, which has a storage place just above the head. These kinds of designs are usually meant to store things and they also have small lights and place to keep things that you use in the regular basis. Having a proper storage panel just behind and above the head is also a great idea to make the storage place. 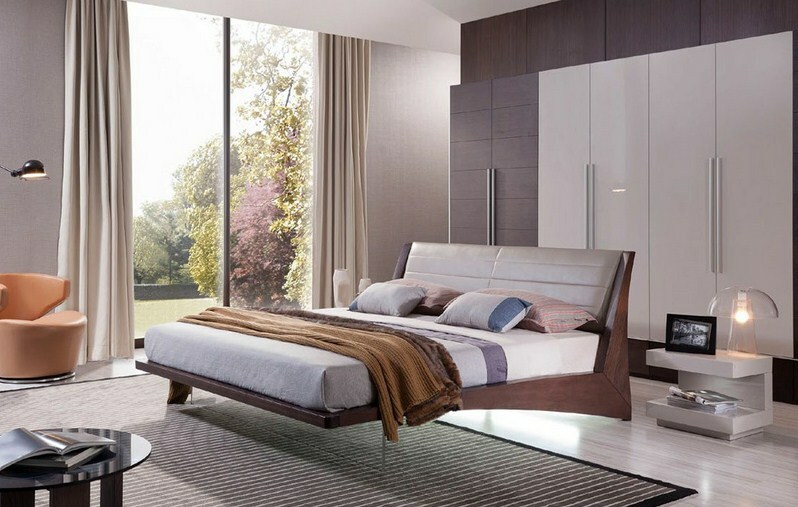 You can keep your books or magazines there and can store bed sheets or pillows behind the bed. This is one such thing that properly utilizes the place. If you are a reader and you want to have a small library of your own in your bedroom then this idea is the perfect for you. In this, make wooden panels with a proper width and height and store your books there. It looks very beautiful and you can use teak wood or any other kind of wood and also you can color them if you want to make it look more lively. This is among st the classiest ideas, where you can make a wooden panel just behind the bed and put some yellow lights in it. Along with that, there will be small width and space on the top, which you can use to keep your showpieces and hang side lamps. 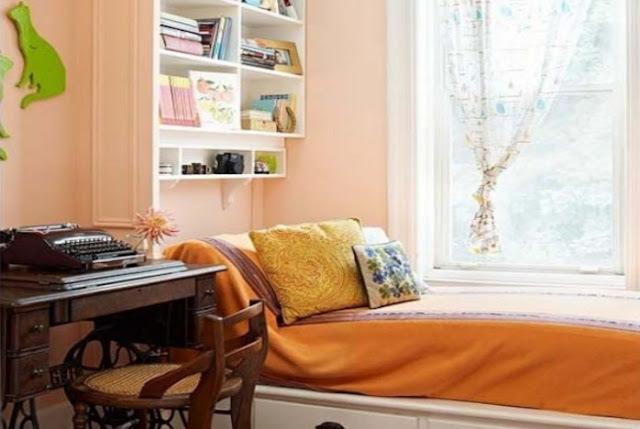 If you don’t like anything just above your bed but you want some light and a small storage place around your bed, then having a small shelf two-three feet above your bed is the best idea where you can keep your books or frames or whatever you want. If you want a place to keep a lot of things around your bed, then this idea is perfect. 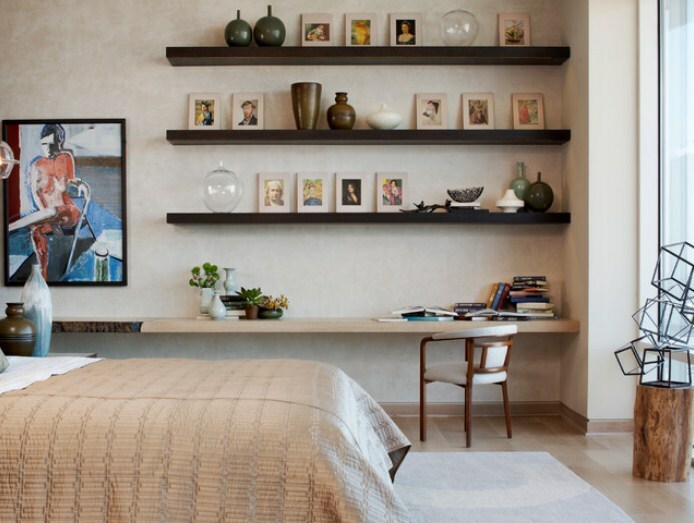 You can have small shelves or a huge panel with small shelves across the bed, where you can store different things. It will be a high utility bed and you will be able keep a lot of things there. 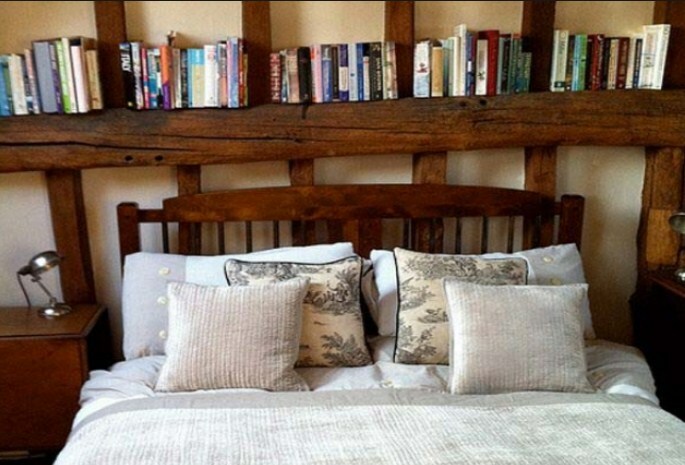 This is one cool idea to create a bookshelf just above your bed. It will help you save the space on the floor. The bookshelf can also be used anytime and it will be really accessible. 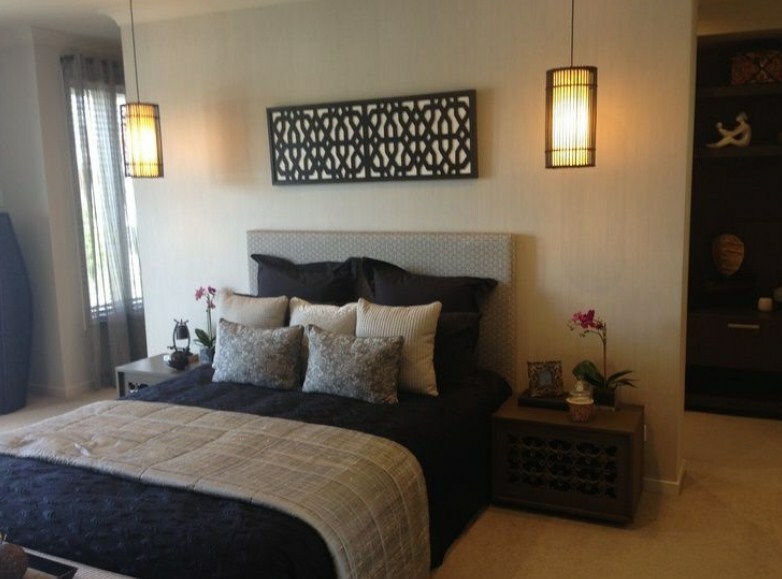 This is one of the best headboard storage ideas and with this you will be able to store a lot of things in that unit. It will occupy minimum space and it will look different and beautiful at the same time. If you live in a small studio apartment and if you have lesser space, then you can use this idea and make a walk in closet just behind your wardrobe. If your apartment is white or any other single color, then this idea will work wonder and will make your house look different.